7th Level Mortgage makes it easier to qualify for 100%, No Money Down USDA loan programs in NJ, PA, NY, DE, FL, and MD! USDA Rural Development home mortgage loans are specifically designed to help low to moderate income households and first time home buyers purchase homes in USDA eligible rural areas. 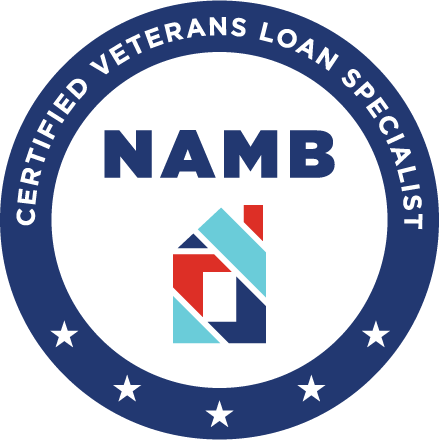 7th Level Mortgage offers USDA loan programs that can be used to purchase an existing home, build a new home from scratch, or make repairs or renovations to an existing USDA eligible rural property. These funds can also be used to improve water and sewage systems on your rural property, or even used to relocate a home altogether. USDA home loan programs are available in every state 7th Level Mortgage is licensed to do mortgage lending including NJ, PA, DE, NY, FL, and MD. General eligibility guidelines for the program are the same throughout every state, however each state decides which counties are eligible for the program based on income and population density. The good news is that if you are seeking a home mortgage loan from 7th Level Mortgage in one either NJ, PA, DE, NY, FL, or MD, most counties in these states qualify! If you’re interested in a USDA home, the next step is to find out whether the home your looking to purchase is currently in a USDA eligible area. USDA eligible areas vary from state to state and are determined based on several different factors. For an area to be USDA eligible it must be located in a rural area. The USDA defines a rural area as any area that is rural in nature and is not part of or associated with an urban area, or any town, village or city and has less than 10,000 residents. Other less rural areas outside of major population centers with a serious lack of mortgage credit may qualify with populations between 10,000-20,000 residents. Many of these areas may not even be rural in nature, but have populations of less than 20,000 and are not associated with any major town or cities. Because USDA rural home loans are meant only for low to moderate income households, there are specific income limits in place in order qualify. To qualify for a USDA mortgage, your overall annual household income must not exceed 115% of the average median income for that particular area. Depending on where you’re choosing to purchase your home, income limits may be higher or lower depending on that particular area’s average median income. For example, if you’re choosing to purchase a USDA eligible property in New Jersey the income limit is pretty much across the board set at $91,500. For a complete list of USDA eligible counties, as well as their income limits you can visit this link or contact one of our loan representatives here at 7th Level Mortgage. Once the potential buyer has found a USDA eligible property, the property must meet certain USDA home loan requirements, in general these requirement are the same for all government insured loans. All properties must be modest in nature and meet all developed standards imposed by State and local governments. In general, 7th Level Mortgage can help any borrower with credit scores of 620 or better qualify for a USDA mortgage loan in NJ, PA, DE, NY, FL, and MD. IF you have good credit with minor credit blips here and there we MAY be able to get you qualified, all you need to do is contact one of our reps or complete the contact form below in order to find out. If you have already gotten a great deal on a USDA home loan, you may be surprised to find out that you can get an even better deal on a USDA refinance loan. USDA refinance loans are only eligible for current USDA mortgages and are generally quick and easy with no property inspection. There are several different refinance loans available including streamline and non-streamline refinance loans, with some loans requiring no home appraisal and others allowing you to finance your closing costs into the overall principal of the loan. And one of the greatest parts about USDA refinance loans is that they guarantee your new USDA loan will result in a lower monthly mortgage payment than what you're paying now.